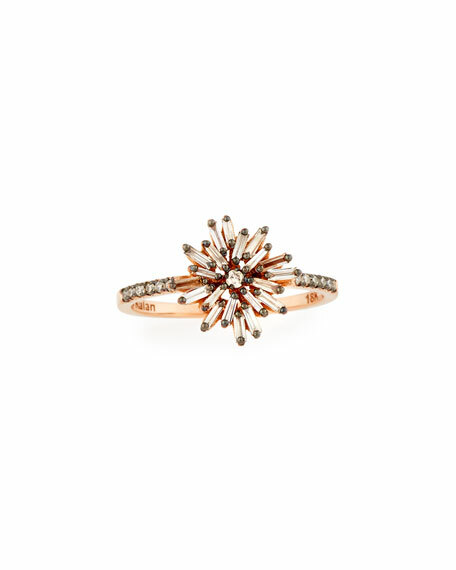 KALAN by Suzanne Kalan starburst ring. 18-karat rose gold band with pavé diamond shoulders. Prong-set champagne diamond baguette face. For in-store inquiries, use sku #2036060.